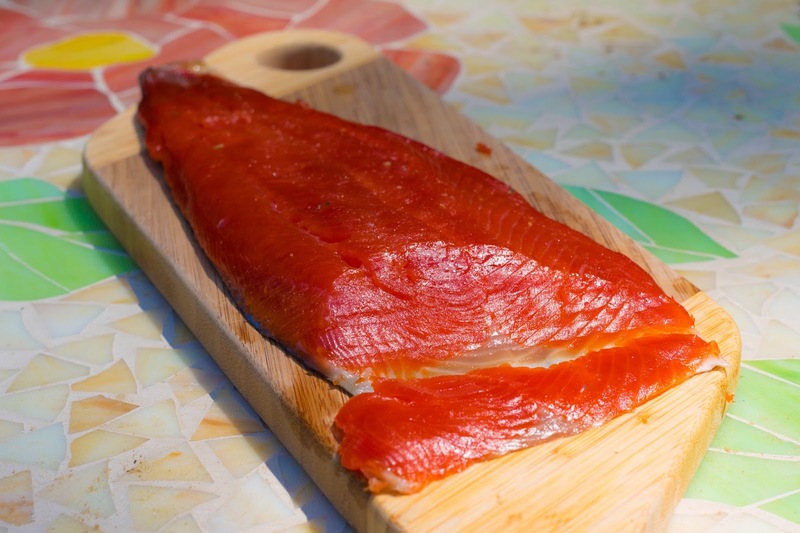 I love cured salmon. 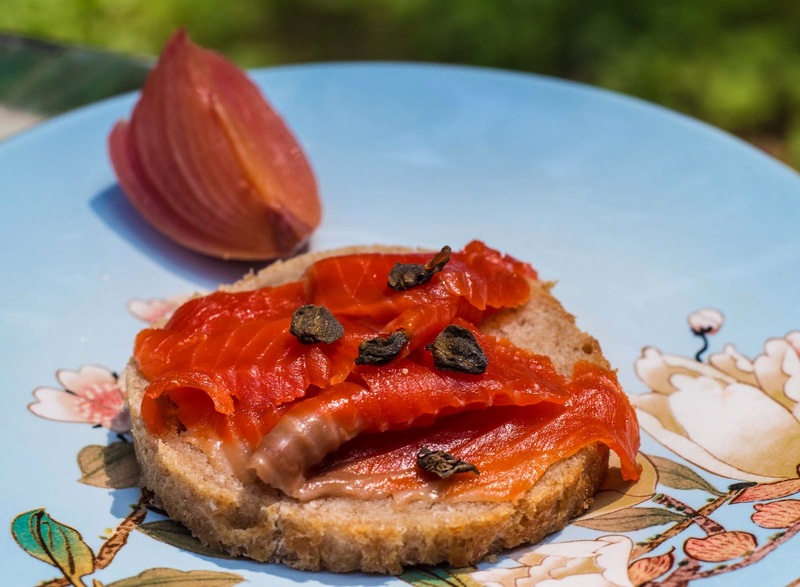 It can be regular gravlax cured with dill, smokey Nova style salmon, or even one of those flavored varieties, like "pastrami-style" cured with black pepper and coriander. It's one of those foods I never tire of and always get excited when the opportunity comes around for me to make a batch. I've been making gravlax (salmon cured with salt, sugar and fresh dill) at home for a few years now and I've really tried to get better at it each time. my main issue is that when the thick center is perfectly cured, the thinner end and edges are over-cured, hard, and rubbery. For this attempt, I thought about curing the salmon as you would cure a ham. The ham is brined for days, and then the surface is over saturated with salt by the time the brine penetrates to the cure. The ham is immersed in water for a day or so to draw out the excess salt in the meat's surface. So shouldn't I be able to do the same thing with a side of sockeye? Taking my fully-cured side of salmon, rubbery end pieces and all, I put it into a large tray of water. After about an hour, the ends seemed to be softening up. I flipped the salmon over and changed out the water with a fresh tray. After the second hour was up, I found the salmon ends were perfect. Honestly, I felt lucky I checked right after two hours, as the ends had drastically soften up and felt perfect. Another hour and it might have gone too far and been under-cured. I didn't think the osmotic flushing would take too long, especially since salmon isn't as dense as a leg of pork, but this was still fast. I laid the salmon out on a baking sheet and let it dry out overnight in the fridge and firm up a bit. Slicing into the supple salmon, I was delighted to see the ends were perfectly cured, while the middle hadn't lost its cure and become soft and squishy. I'm excited to try this again, but I'll probably check every 30 minutes or so, rather than every hour, knowing how fast the soaking alters the fish.